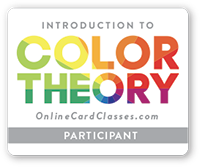 I am taking a wonderful Color Theory class from Online Card Classes and thought I'd share my homework for day one. Our challenge was to use just primary colors - red, blue and yellow. 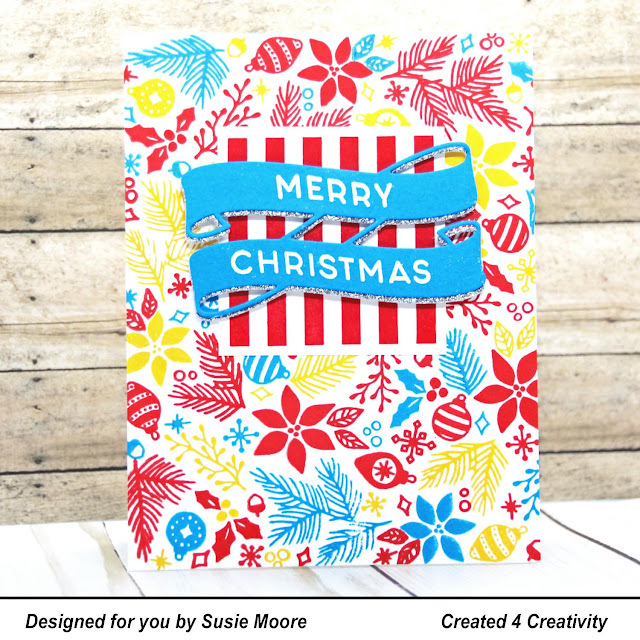 I guess it's a little off the wall to use these colors for a Christmas card, but I like it! The other thing we learned in lesson one was to use the gallon, quart, pint theory in distributing colors. So I used a gallon of red, a quart of the blue and a pint of the yellow. I also added a sparkly neutral with the silver glitter paper. Have a great day and I'll be back tomorrow...perhaps with more homework!